WASHINGTON — CIA Director Mike Pompeo recently traveled to North Korea to meet with leader Kim Jong Un, two officials told The Associated Press on Tuesday. The highly unusual, secret visit comes as the enemy nations prepare for a meeting between President Donald Trump and Kim within the next couple of months. The officials spoke about Pompeo’s trip on condition of anonymity because they were not authorized to discuss it publicly. President Donald Trump said Tuesday that the U.S. and North Korea are holding direct talks at “extremely high levels” in preparation for a potential summit with North Korean leader Kim Jong Un. 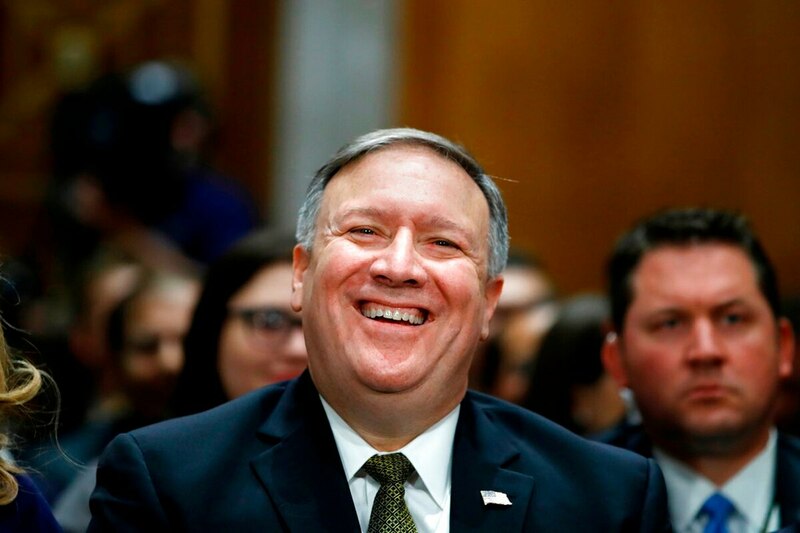 The Washington Post, which first reported Pompeo’s meeting with Kim, said it took place over Easter weekend — just over two weeks ago, shortly after the CIA chief was nominated to become secretary of state. Trump, currently at his Florida resort hosting Japan’s Prime Minister Shinzo Abe, said Tuesday that the U.S. and North Korea were holding direct talks at “extremely high levels” in preparation for a possible summit with Kim. He said five locations were under consideration for the meeting, which is slated to take place by early June. White House Press Secretary Sarah Huckabee Sanders said Trump and Kim have not spoken directly. It would be the first ever summit between U.S. and North Korea during more than six decades of hostility since the Korean War. North Korea’s nukes and capability to deliver them by ballistic missile pose a growing threat to the U.S. mainland. At his confirmation hearing last week to become the top U.S. diplomat, Pompeo played down expectations for a breakthrough deal on ending North Korea’s nuclear weapons at the planned Trump-Kim summit, but said it could lay the groundwork for a comprehensive agreement on denuclearization. The young leader met China’s President Xi Jinping in Beijing in late March, Kim’s first trip abroad since taking power six years ago. He is set to meet South Korean President Moon Jae-in in the demilitarized zone between the rival Koreas on April 27.